What’s a Liquid Face Lift? Dr. Christine Petti, a board-certified plastic surgeon in Los Angeles, explains the benefits of a dermal volumizer designed specifically to add volume to the cheeks and midface. A facelift isn’t an option for everyone. 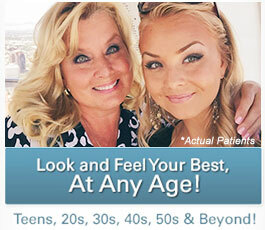 Fortunately, that doesn’t mean you have to live with the perceivably negative effects of facial aging. Hollow, sunken-in cheeks can occur as we age, making an individual look older than they actually are. As an aesthetic plastic surgeon, I can restore volume to the face with customized techniques I have developed for the facelift surgeries that I perform. The best news of late is that I can restore a young, smooth and contoured shape to the strongest focus of the face – the cheekbones – using facial volumizers like JUVÉDERM VOLUMA™ XC. I use JUVÉDERM VOLUMA™ XC to restore volume and a natural curvature to the cheeks for an instantly more youthful appearance. In my hands, the pleasing changes in the facial contour are natural, yet miraculous, and patients are astounded, leaving the office as though they were reborn with both beauty and confidence! I refer to this as a “liquid face lift” because it provides a soft, youthful contour and lift to not only the cheeks, but the entire face. The effects of this unique dermal volumizer can also help to smooth wrinkles in the midface. JUVÉDERM VOLUMA™ XC can be used as part of an emergency facelift, as well, for a non-surgical makeover! You may recall my post on how I use these facial volumizers as three dimensional makeup! Who needs highlighter on the cheeks when you have cheeks that radiate and, as my grandmother did – beg to be pinched! My patients notice a fuller, more youthful appearance immediately after they have received a liquid cheek lift, and they may continue to enjoy these results for up to two years. 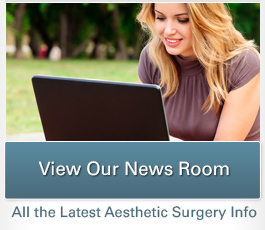 In plastic surgery lingo, we call it the “ogee,” a gentle, pleasing curve to the face that gives it a shape that can be seen in an oblique view of the face. This is a great makeover for those upcoming parties, reunions and weddings! I am a believer, so you will be in good hands! If you are interested in adding volume to your cheeks and midface with JUVÉDERM VOLUMA™ XC, please contact us today. We can provide you with information about the product, and my staff can assist you with scheduling a consultation with me so I can help you determine if JUVÉDERM VOLUMA™ XC is right for you.